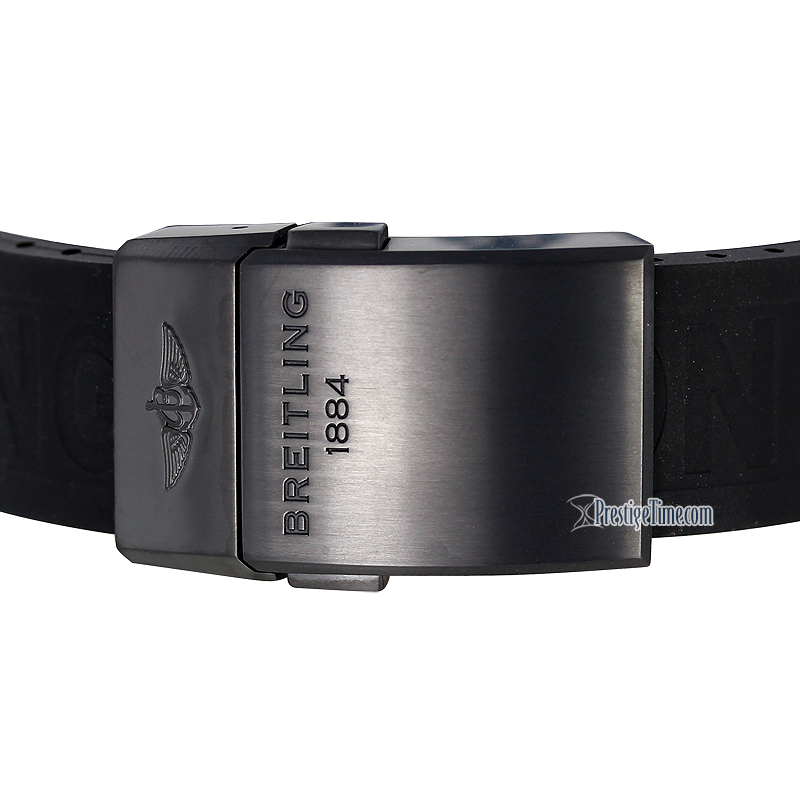 BREITLING CHRONOMAT 44 RAVEN BLACKSTEEL - SPECIAL EDITION (not limited). Brushed/satin finished "BLACKSTEEL" bezel with orange filled engraved Arabic numeral graduations and an aged colored luminous dot at the starting point. 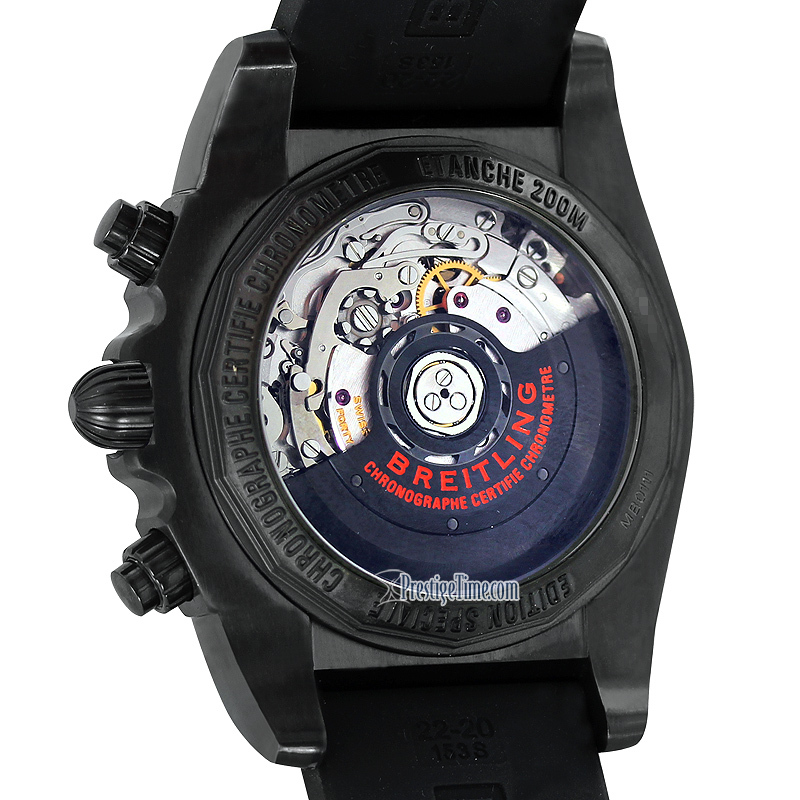 Orange dial flange with Tachymeter scale. Large orange central seconds counter with the Breitling logo at the end. 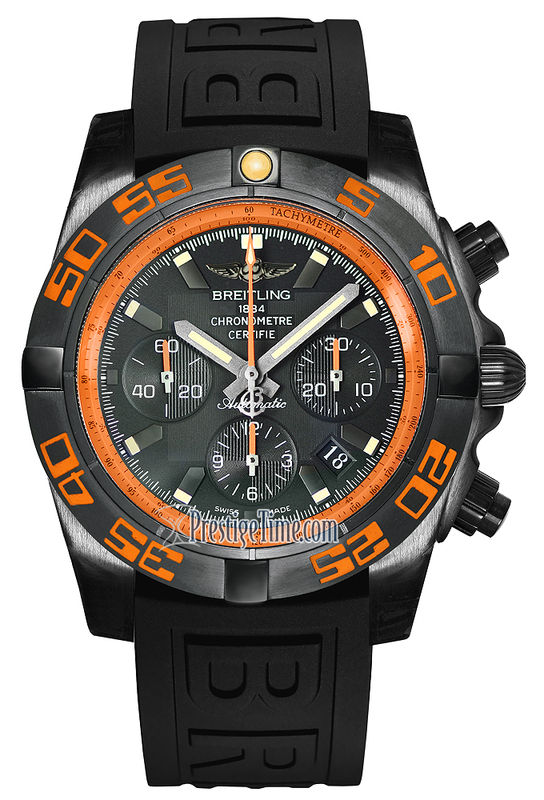 Orange 30 minute counter sub-dial located at the 3 o'clock position. Orange 12 hour counter sub-dial at the 6 o'clock position. 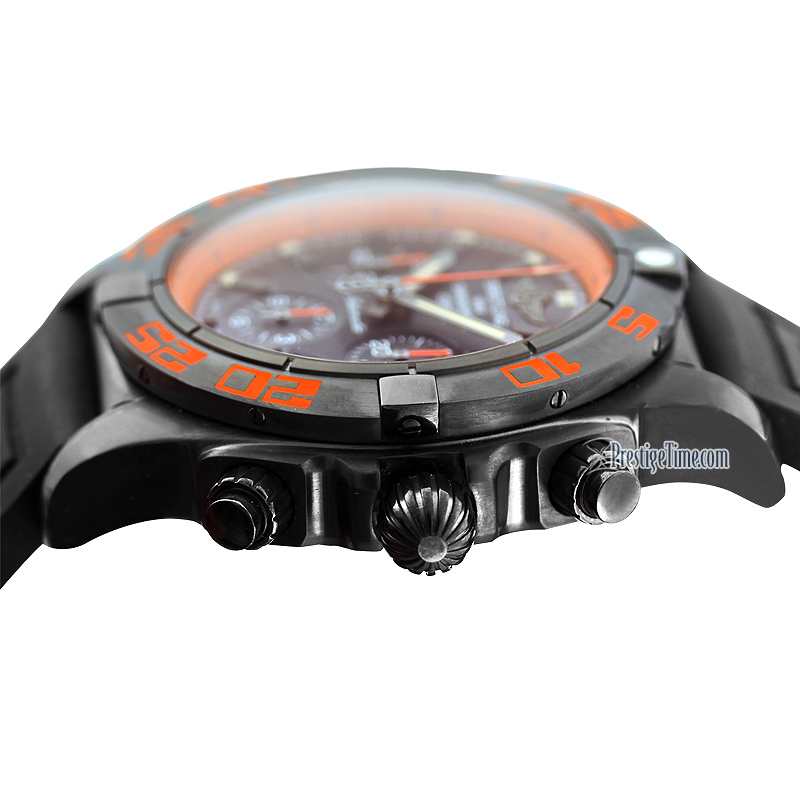 Orange small seconds sub-dial at the 9 o'clock position.